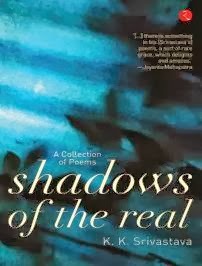 Shadows of the Real is a collection of 63 poems written by poet K.K. Srivastava who hails from Gorakhpur, Uttar Pradesh. His are poems which occupy either small spaces (tercets, five to ten-liners, a page or two) or wider spaces (nine, sixteen or 17 page poems). Concision occupies one end; on the other end there is a train of contemplation which takes the reader to the deepest of tunnels of thought. But “Our being us” is also “a perpetual renewal”, “a continuous flux – a moving horizon”, thus “being and becoming” (see Our Being Us). The former is linked to the poet’s deep sense of awe when faced with life. Srivastava tries to fill in the gaps (“holes in the wall”) of life’s “missing parts” by his profound verse. This links perfectly with Sealed Remembrance where Srivastava admits that “Sometimes our lunacies are our brightest spots”. Such thoughts are also expressed in Time’s Emptiness. Life lasts only one second and this thought again creates a sense of futility, an inner “abyss”. Once again it is poetry that tries to give meaning to life and breadth to the reader. Poetry is an “iridescent/ light of intellectual apogee”, even “mental asylum” (Mental Asylum and Poetry). Thus words become meaning, life itself; words have more permanence than memories and life itself. Time is given an identity, animated through various images: “you have lived here, there, everywhere/ sightlessly rejoicing your divine gaze;/ Your owlish glasses”; or “An unknown nymph guards us”; or “An infinite living force/ your stillness moves everything else/ your stillness stands still”. Like life, even time has a paradoxical nature. We understand that being in this world is finite, but becoming is infinite. One may thus speculate that Srivastava fights strongly against this sense of being in order to enjoy a better becoming. Being is thus transitory and becoming becomes a destination. One of Srivastava’s favourite poetic mecchanisms is playing on words which have deep meanings. There are numerous examples: “its permanence makes a being a becoming/ and becoming a being”; “Doubts have details/ details doubts” (On Being Us); “action stirs dream/dream stirs action/[...]passion stirs desire/ desire stirs passion” (Time’s Emptiness); “We time placements just as/ we place timings” (Faces). Other poetic mechanisms are the anaphora: “or an enigmatic irrationality/ or a treacherous self/ or a mixture of all three”; alliteration: “Endowed with inertia/ the existence of being/ an exteriority to itself” (On Being Us); “Hang heavily/ leftovers of/ hardened hours” (Between Night and Morning); “Open to opposing possibilities” (Faces); personification: “Night has just left me/ morning wears an unwashed dress” (Between Night and Morning); “Lonely lamp listens and waits” (A Sketch Made in December) ; imagery: “From within/ waves of forgotten horizons/ look for invisible anchors” (From Within); paradoxes: “night has arrived/ another chance/ to drown myself/ into my wakefulness” (An Insomniac’s Dilemma); oxymoron: “shimmering tombs” (A Mirror); internal rhyme: “every vision, a revision” (Through Time). The poet also manages to give solidity, make tangible, abstract things such as the mind (“an amorphous collection/ of ruined realities,/ half-thought dreams”), decisions (“unreal stars/ on a dismal plain”), hopes (“Milky haze/ lingering, far off,/ shrouded mountains”), the day (“The day is like/ a rain coming in drops/ insufficient enough to swim/sink”), doubt, contemplation (“Something is always afoot/ knocks at the door”), melancholy (“Inconspicuous sense/ of worthlessness”), and success (“thin, long rope [...] an intriguing rope”), all these titles given to different poems. 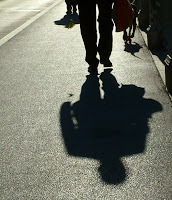 “Youth and old age” are “like next-door neighbours shunning each other” (Afternoon Musings). Srivastava’s verse leaves the reader breathless as he/she comes face to face with harsh reality itself. All this is expressed in a clear language – which flows naturally and hand in hand with knowledge of us and what of lies around us - but with abyssal depths and levels of meaning. One can spend weeks pondering about lines such as the following: “Sagacious time – a hollow survivor”, or “Consciousness rips apart/ the dissolving streams of/ infinitum./ The wait continues...” (Time’s Emptiness). This kind of poetry is not only meaning to be uncovered, but also an inner experience and a search of what humankind truly is. Love is another important theme in this collection. That Night is a poem about love, or about the need for the return of love. Night here comes to life as the poet is overwhelmed by memories of a mysterious “faceless woman”. Even in A Woman, love, sensuality, nature and finally, poetry itself, form one composition. That of Teresinka Pereira is beautiful poetry which speaks directly to the soul. She manages to concentrate so many thoughts and emotions in few lines. Poet and reader may be miles apart physically, but poetry makes them one whenever the latter reads it and lets it permeate him/her. Nhar il-Ġimgħa, 18 ta’ Ottubru 2013, fis-6.30 pm, l-Għaqda Poeti Maltin tellgħet Lejla ta’ Poeżija f’ġieħ il-Poeta tan-Nirien, Karmenu Vassallo. Dan seħħ fir-Razzett tal-Markiż, Ċentru Nazzjonali tal-Kultura fil-Mosta, immexxi mill-Għaqda Filantropika Talent Mosti. Għal-lejla kienu preżenti tliet ulied ta’ Karmenu Vassallo, Oliver Paul, Nikol u Jane u familjari oħrajn. Il-President tal-Poeti Maltin, Charles Magro, fetaħ bid-diskors tiegħu u fakkar li Karmenu Vassallo hu fost il-poeti Romantiċi ewlenin. Fakkar ukoll li Karmenu Vassallo kien Membru Onorarju tal-Għaqda Poeti Maltin, fatt li kompla jgħolli l-prestiġju tal-Għaqda. Matul is-serata nqraw bijografija tal-Poeta, siltiet minn ittri li kienu ntbagħtu lilu minn kittieba u personalitajiet prominenti, u għadd ta’ poeżiji minn ġabriet differenti li Vassallo ppubblika, fosthom NIRIEN u TNEMNIM. Għas-serata kien preżenti Marcel Zammit Marmarà, studjuż u bijografu ta’ Vassallo, li tkellem dwar ir-relazzjoni tal-poeta mis-Siġġiewi mal-Poeta Nazzjonali, Dun Karm Psaila, u qara xi korrispondenza li kienet tgħaddi bejniethom. Tkellem ukoll dwar Vassallo ibnu Oliver Paul. Huwa fakkar f’kemm missieru kien perfezzjonista meta kien jikteb il-versi tiegħu u qara wkoll xi poeżiji tal-Poeta tan-Nirien. Kien hemm ukoll ħin għall-membri tal-Għaqda Poeti Maltin li qraw xi poeżiji ddedikati lil jew ispirati minn Karmenu Vassallo. Is-serata tmexxiet mill-PRO tal-Għaqda Poeti Maltin, Miriam Ellul, u l-intervalli mużikali ġew ipprovduti minn Ray Ellul. Wara kien hemm ukoll bibita li matulha dawk li attendew setgħu jitkellmu anki mal-familjari ta’ Karmenu Vassallo. Iben Karmenu Vassallo, Oliver Paul, jaqra xi poeżiji ta' missieru. Ġanninu Cremona twieled fir-Rabat Għawdex fl-1926. Għallem f’diversi skejjel primarji ta’ Malta u Għawdex u kien ukoll surmast tal-Malti u tal-Istorja fil-Liċeo tar-Rabat Għawdex. Ħadem għal bosta snin fl-Oratorju Dun Bosco, fl-Azzjoni Kattolika, u anki fi ħdan is-Soċjetà Leone. Kiteb numru mdaqqas ta’ xogħlijiet għall-palk li bosta minnhom dehru fit-Teatru Aurora, fl-Oratorju Don Bosco u fl-Azzjoni Kattolika. Hu wkoll kittieb ta’ poeżiji u awtur tal-ġabriet poetiċi Warda Sbejħa tar-Rebbiegħa (1998) u Weraq tar-Rand (2006). Illum hu membru onorarju tal-Għaqda Poeti Maltin. 1. Meta u fejn twelidt? X’tifkiriet għandek tal-jiem bikrija ta’ ħajtek? Jiena twelidt fit-28 ta’ Diċembru 1926, fir-Rabat Għawdex. Fil-jiem bikrin ta’ ħajti niftakar fis-snin tat-Tieni Gwerra Dinjija 1939-1945. Għalkemm Għawdex ma kienx milqut bħal Malta mill-bombi, kien milqut ukoll mill-ġuh u mill-biża’. Eluf ta’ refuġjati Maltin ġew Għawdex u l-Għawdxin laqgħuhom ġo djarhom. Dak iż-żmien kont immur l-iskola sekondarja u nofs l-għalliema u nofs it-tfal fil-klassijiet kienu Maltin. Tifkiriet sbieħ għandi wkoll, speċjalment bħala tifel tal-Oratorju Dun Bosco. Kont dilettant tal-palk bħala attur u ktibt bosta xogħlijiet għall-palk. Kont ukoll player tal-futbol mat-tim tal-Oratorju. Barra minn hekk kelli u għad għandi d-delizzju tas-sajd u tal-kaċċa. 2. Illum inti irtirat. F’liema postijiet ħdimt fl-imgħoddi u liema xogħol kien l-aktar għal qalbek? Fl-1948 dħalt għal sena f’St. Michael’s Training College u bdejt ngħallem bħala għalliem fl-iskola primarja tal-Ħamrun. Wara ħames snin għamilt transfer għal Għawdex. Għallimt fl-iskejjel tan-Nadur, Ta’ Sannat u tar-Rabat u għamilt l-aħħar seba’ snin fl-iskola sekondarja tas-subien ngħallem il-Malti u l-istorja. It-tagħlim kien dejjem għal qalbi imma żgur li l-aħħar seba’ snin li kont ngħallem il-Malti u l-istorja ta’ Malta u tal-Ewropa kienu l-aktar impenjattivi u li tawni l-aktar sodisfazzjon. 3 X’jagħmel Ganninu Cremona illum fil-ħin ħieles tiegħu, apparti l-kitba? Illum fl-età avvanzata tiegħi ma tantx nista’ nagħmel xogħol. Minn barra li ngħaddi ħafna ħin fil-qari, qiegħed ukoll nikteb sensiela ta’ radio-plays qosra biex jixxandru fuq ir-radju tal-komunità, li kull parroċċa f’Għawdex għandha wieħed. Jiena ilni għal bosta snin, wara li rtirajt mix-xogħol, membru u viċi-president tad-Direttorju tal-Azzjoni Kattolika. Sa ftit snin ilu kont nieħu ħsieb l-attivitajiet tal-palk billi nikteb u nipproduċi drammi u plays rikreattivi u kulturali. Jiena nieħu ħsieb il-kċina tad-dar tiegħi billi nixtri dak kollu li jkun hemm bżonn u nsajjar. Għalik il-kitba tal-poeżija ssir biss f’waqtiet ta’ kriżi u ta’ wġiegħ? Liema huma l-waqtiet li fihom tikteb l-aktar il-poeżija? Le. 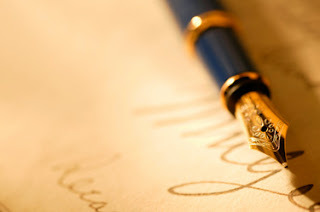 Il-poeżia tiegħi ma niktibhiex f’waqtiet ta’ kriżi u ta’ wġiegħ. Jekk fit-tieni ktieb tiegħi għandi xi poeżiji li ktibt f’mumenti ta’ wġiegħ, bħall-mewt ta’ xi membru tal-familja, dan għamiltu bħala sinjal ta’ rispett u mħabba. Il-poeżija tiegħi hija poeżija tal-burdati. Imma nistqarr li l-ewwel ispirazzjoni li ġagħlitni nikteb u nkompli fit-triq tal-għana, kienet il-Madonna. Il-parroċċa tiegħi, il-Katidral ta’ Għawdex, hija ddedikata lil Santa Marija u kien fl-entużjażmu li ħassejt fil-festa tagħha fil-15 t’Awwissu tal-1947 li jiena ppubblikajt l-ewwel poeżija tiegħi. Minn dakinhar sal-lum ktibt madwar 50 poeżija b’tifħir lill-Madonna. Waqtiet oħra li l-aktar nebbħuni biex nikteb il-poeżija huma l-ġmiel tan-natura u s-skiet. Jiena ngħix f’nostalġija kontinwa għall-ħajja oriġinali ta’ tfuliti. M’inix kontra l-progress, imma jinkwetani ħafna meta dak li ħolqot in-natura jiġi mbiċċer u sfigurat minn id il-bniedem. Ħares lejn ix-Xlendi ta’ dari u x-Xlendi tal-lum. Isem biss għad fadallu. 5. Għaliex tikteb il-poeżija? Temmen li tista’ tbiddel xi ħaġa fid-dinja tal-lum? Id-Dinja tal-lum hija dinja ardita. Ma naħsibx li l-poeżija tista’ tbiddel xi ħaġa, imma tista’ tibqa’ tfakkarna f’dawk il-valuri sbieħ li tant kienu jgħożżu missirijietna u llum intilfu. 6. X’qed isir u x’jista’ jsir biex leħen il-poeti Għawdxin jissemma iktar? Il-leħen tal-Għawdxin minn dejjem kien u għadu leħen dgħajjef. Dgħajjef mhux fis-sens ta’ kwalità jew livell ta’ kitba, għaliex il-poeżija ta’ Ġorġ Pisani, ta’ Mary Meylak u oħrajn tal-lum m'huma xejn anqas minn ta’ poeti Maltin. Ir-raġuni hi li Għawdex hu żghir u l-poeżija tal-poeti tagħna aktarx li tibqa’ ddur biss mall-gżira tagħna. F’Għawdex m’għandniex dawk l-opportunitajiet ta’ pubbliċità u mezzi ta’ xandir li hemm f’Malta. L-Għaqda Poeti Maltin qed tgħin ħafna biex il-poezija tagħna jkollha aktar pubbliċità. 7. Temmen li hemm rabta qawwija bejn il-ħajja tal-poeta u l-kontenut tal-versi tiegħu? Jien hekk għandi naħseb. Jekk nevalwa l-versi ta’ Ġorġ Pisani u ta’ Mary Meylak, m’għandix dubju li hemm rabta qawwija bejn il-ħajja tagħhom u l-versi li kitbu. Dan nista’ ngħidu wkoll, skont il-biografija tagħhom, għal Rużar Briffa, u Dun Karm Psaila. Jiena, fid-daħla tal-ktieb tiegħi ‘Weraq tar-Rand’ dan li ktibt, li l-poeżija tiegħi hija ritratt tiegħi, espressjoni tal-ħajja bl-emozzjonijiet, twemmin u karattru tiegħi. 8. Kemm huma importanti Għawdex fil-poeżija tiegħek? Għall-artist u poeta tħoss li dan hu spazju li jillimita lil dak li jkun jew le? gżira magħrufa għas-sliem u l-mistrieħ’. L-ispazju żgħir ta’ Għawdex mhux biss ma jillimitax lill-artist jew lill-poeta, imma jixgħel l-immaġinazzjoni tagħhom. Għawdex huwa kartolina li b’daqqa t’għajn tara s-sbuħija kollha tiegħu. Ħafna poeti u artisti ħarsu lejn Għawdex bħala l-gżira ideali biex jesprimu l-immaġinazzjoni tagħhom. Anke l-istorja ta’ Għawdex minn żmien il-ħaġar sal-ġurnata tal-lum kienet l-ispirazzjoni għall-poeti u l-artisti. Ġorġ Pisani kiteb dwar il-Ġgantija ta’ Għawdex, u jien ktibt il-Ballata tal-Assedju ta’ Għawdex 1551. Din il-ballata hi l-isbaħ biċċa xogħol letterarja tiegħi. Jiena tajt stampa ċara ta’ dik il-ġrajja storika u doloruża li Għawdex sofra taht il-qilla tan-nofs qamar. Tajt stampa ċara tac-Cittadella fejn seħħet il-ġrajja. Illum ic-Cittadella hija attrazzjoni ewlenija li joffri Għawdex lil kull min iżuru. Hi monument dejjiemi li jolqot l-immaġinazzjoni tal-istoriċi, tal-poeti, tal-artisti u tal-arkeologi ta’ kull nazzjon. 10. Xi rwol għandhom fit-tixrid tal-poeżija l-Għaqdiet u l-mezzi tax-xandir? Qed jaqdu dmirhom sewwa? L-għaqdiet u l-mezzi tax-xandir għandhom rwol importanti ħafna. L-Għaqda Poeti Maltin qed tagħmel kull ma tista’ biex tkabbar l-interess fil-poeżija f’Malta u Għawdex. Din il-ħidma qed tkun suċċess mhux biss għall-poeti biex aktar jitħajru jiktbu, imma anki għal dawk li jħobbu jaqraw jew jisimgħu l-poeżiji. Dan jidher mill-attendenza li jkun hemm għal kull attività. Imma ma nistax ngħid li l-mezzi tax-xandir qed jaqdu dmirhom sewwa. Sew ix-xandir u sew il-gazzetti jagħtu ħafna spazju u ħafna importanza lill-programmi ta’ divertiment, imma ftit jew xejn lill-poeżija u l-letteratura. Il-qawl Malti jgħid li ‘L-għajta nofs il-biegħ’ u għalhekk tajjeb li jsir studju kif il-poeżija jista’ jkollha aktar leħen fil-mass-media.